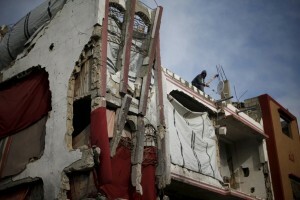 Are those witnesses sure the damage was done by Israeli carpet bombing? It could have been done by evil fairies invading from outer space. In fact, other witnesses are certain they saw what appeared to be Martians invading Gaza. A year-&-a-half after the barbaric siege of Gaza & the Guardian still thinks it can pull off this imbecilic equivocation to cover for Israeli ethnic cleansing. Even Israel doesn’t deny its barbarism but only justifies it. 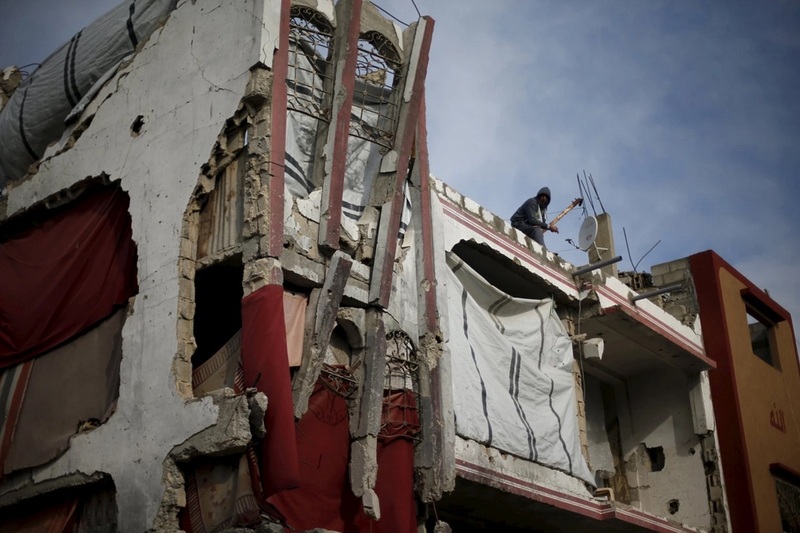 After plying a panel of retired generals from the Pentagon & other psychotic military establishments with alcohol for a year, Israel finally got them to conclude the Israeli military conducted its massive bombing spree of Gaza in 2014 with admirable restraint & humanitarian consideration. You can’t make that crap up. You pay the right people & add in some booze, they say exactly what you tell them to. There’s something of a news gray-out about ‘what the evidence says is an Israeli pogrom against Palestinians in the West Bank, East Jerusalem, & Gaza’. While Palestinians hold their ground & grieve their losses, our job is to put the lie to all this & build the hell out of BDS. 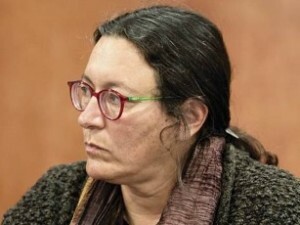 Emancipation US-style: 14 years of US-NATO war in Afghanistan–first under the guise of chasing Osama bin Laden dragging his dialysis equipment through the caves of Afghanistan & then under the guise of liberating women. One nail salon, several CIA torture prisons, a thriving drug trade, several unspeakable war crimes later, & despite Obama’s announcement the occupation ended a year ago, the war continues. 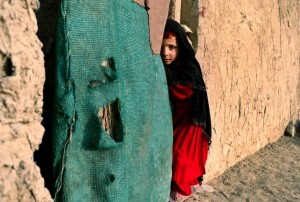 This little girl in Kabul is one of between 683,000 & 900,000 homelessAfghans according to the UN refugee agency (UNHCR). Millions are living as refugees in Pakistan & Iran. 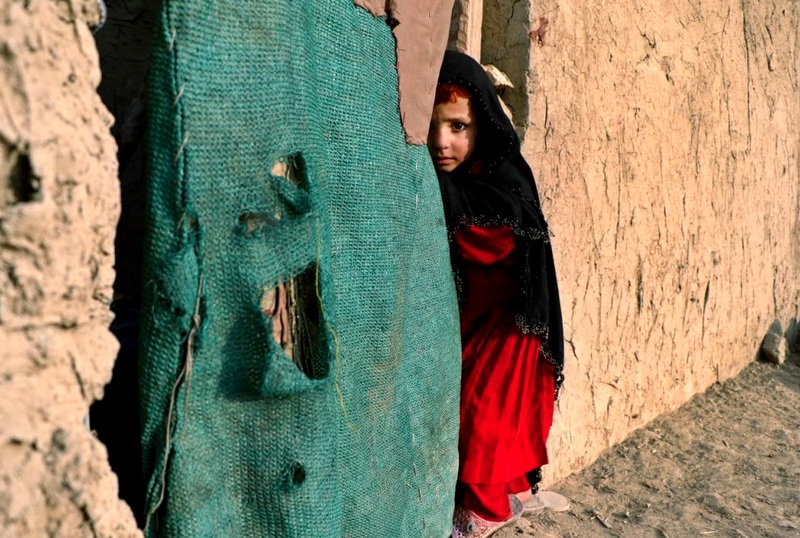 When the Pakistani government cracked down on Afghan refugees a few years ago & began demolishing their encampments, the UNHCR paid some of them chump change (about US $150) to move back to Afghanistan, knowing there would be no housing or schools. Thousands, including unaccompanied children, became part of the trek to Europe through Turkey & Greece. US-NATO bombarded & occupied Libya in 2011 to liberate it from Gaddafi. It now has two competing regimes & is reportedly under the control of ISIS. When the Obama regime claims it is staying in Afghanistan to save it from several Taliban offensives, one shudders for the Afghan people. Because the US-style of emancipation involves massive continuous bombing including of hospitals, kidnapping, torturing, murdering civilians, massive homelessness, widespread child labor. The historic imperative remains: rebuild the international antiwar movement demanding an end to these monstrous wars. US out of Afghanistan! US out of the Middle East! When you’re sick in bed, you’ll watch anything to relieve the tedium–including Bernie Sanders being interviewed by Barbara Walters. Both have come a long way in life for being such nonentities. Walters asked Sanders if he was against capitalism–a system that’s barbarism endears itself only to profiteers & psychos. Sanders answered no, he favored a mixed economy–an entirely fictitious economic entity which is capitalism with a few social services kicked in. He didn’t specify which country usually identified as a mixed economy he preferred to model. Whether China with its sweatshops & child labor, the US & UK with their massive inequality & endless wars, or Sweden with a multi-billion dollar defense industry. Walters, who is a personal friend of Henry Kissinger, nodded approvingly at Sanders’ response. So much for Sanders the socialist. Toy weapons manufacturing just in the US is a multi-billion dollar a year operation including guns shooting laser beams, fake bullets, & simulated machine gun fire. Toys simulating casual ways to blow up the world using nuclear explosions are flying off the shelves. It’s estimated that 83-percent of electronic games have violent themes & 58-percent are war games. It’s of course symptomatic of an aggressive culture derived from a government engaged in endless barbaric wars for well over one hundred years now. From the point of view of the Pentagon, it’s desirable that children who will grow up to be soldiers get inculcated with aggression & violence. 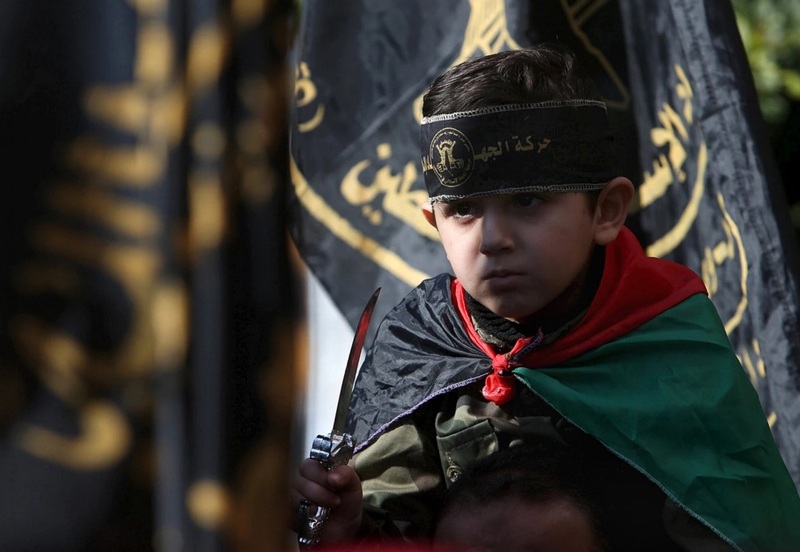 Zionist media has for a while portrayed the Islamic Jihad Movement as indoctrinating kindergartners in Gaza as terrorists & suicide bombers. And yet it’s as nothing compared to what kids around the world will get from watching “Star Wars: The Force Awakens” along with the attendant merchandizing of its toy arsenal & weapons of destruction. More importantly, it’s as nothing compared to the massive arming of US civilians carrying concealed & unconcealed weapons. The difference of course is that the children of Gaza have been directly & repeatedly targeted in Israeli carpet bombing. One doesn’t have to agree with the politics of the Islamic Jihad Movement anymore than one does with the NRA or US Pentagon. But when the media portrays a small boy in Gaza in this way, it’s intended to portray Palestinian children as violent & justify targeting them for ethnic cleansing as they were in 2014. And that’s not reading too much into this photo. Respond to this monstrous propaganda by honoring & building the economic, cultural, & academic boycott of Israel (barcode beginning with 729). I apologize to my readers for my several day absence but I was down for the count with the flu.